We treat requests for air conditioning repair in Cornelius, NC with urgency. A broken air conditioner can make living in your home miserable, especially when your system breaks down in the middle of the summer. However, it doesn’t have to be this way for very long when you work with us at Cool Comfort Heating & Air. We are known for our cost-effective, efficient air conditioning repair services in the Cornelius, North Carolina area and can get your broken air conditioner back up and running in no time. Our air conditioning repair services are complemented by highly trained, highly skilled technicians. We realize how frustrating it can be to have someone come and try to fix your air conditioning system, only to have it malfunction a short time later. Thanks to our team of qualified technicians, you can rest assured that your air conditioner will be fixed right the first time. We also realize that when your air conditioner breaks down, you don’t want to wait for days to get it fixed. This is why our team treats calls for air conditioning repair with urgency. After you reach out to us for help, we won’t waste any time getting to your home, assessing the problem, and coming up with an effective solution for your system. The next time you need air conditioning repair, don’t let just anyone handle the job. Instead, leave it up to us at Cool Comfort Heating & Air. 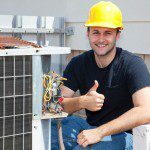 We are confident that you will be more than happy with your decision to turn all of your air conditioning repair needs over to us.